Ralph Lauren Polo Supreme Oud is as discerning and selective as its wearer. 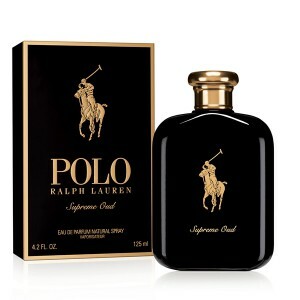 Ralph Lauren Polo Supreme Oud 125ml. Eau De Parfum - resistant and rich woody fragrance with oriental notes. Attribute successful, strong gentleman. Part of the elegant image and luxurious decoration. The distinctive scent is reminiscent of a game of billiards with old friends; about passion, reigning at the races, a prosperous entertainment and wise people. Fragrance Ralph Lauren - the highest pass in the world. The fragrance is comparable to the verse of 4 lines written by beautiful handwriting. The top line - ardent, fragrant. In a pair of pink pepper and cinnamon to read the heat of the eastern sun. Deep meaning is embedded in the following two lines. Wood agar, the most expensive in the world - the heart of the work. The noble wood gives a sweet, balsamic aroma. Elegant aftertaste with hints of smoke and vanilla give birth guaiac wood and vetiver fresh leaves. Try odor Polo Supreme Oud. In it you will feel like in a suit Armani: elegant, confident, stylish. It is a deep, luxurious in its sounding male Eastern woody fragrance, who gave his admirers in 2015, a popular American designer Ralph Lauren. Since the beginning of the flavor gives a light, refreshing spiciness of pink pepper and warm, velvety chord insinuating cinnamon. In the center of a powerful chord sounds sweet, smoky oud - a harmonious, beautiful, playing soft, velvety shades. It completes the composition of wood-spicy aroma guaiac wood and light, damp-earthy scent of vetiver.